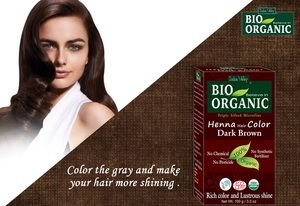 Indus valley Organic henna powder being suitable for sensitive scalp is used by all people. Easy availability and renowned features. Natural constituents with high effectiveness. Free from the effect of toxic chemicals. Not harmful for hair. Non toxic in nature.